Typically one would spend lots of time stirring and keeping an eye on stove top cooked polenta, but I’m here to tell you the Instant Pot makes one amazing version with minimal effort on your part. 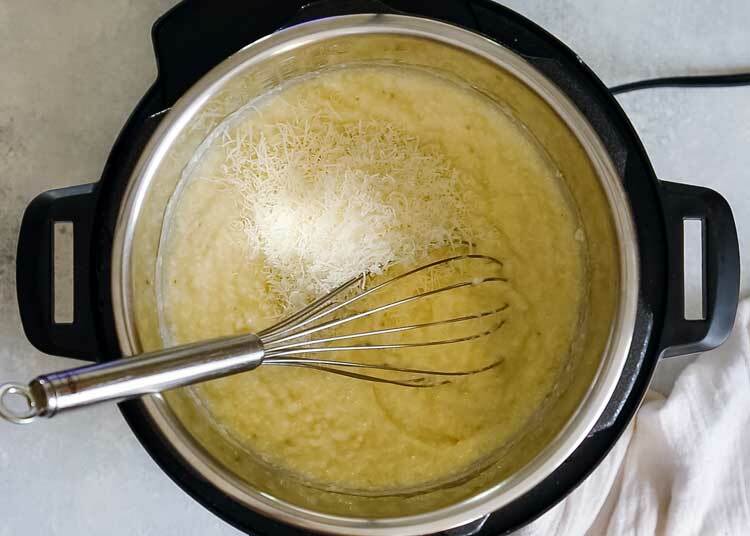 Let me show you How to Make Instant Pot Creamy Polenta. 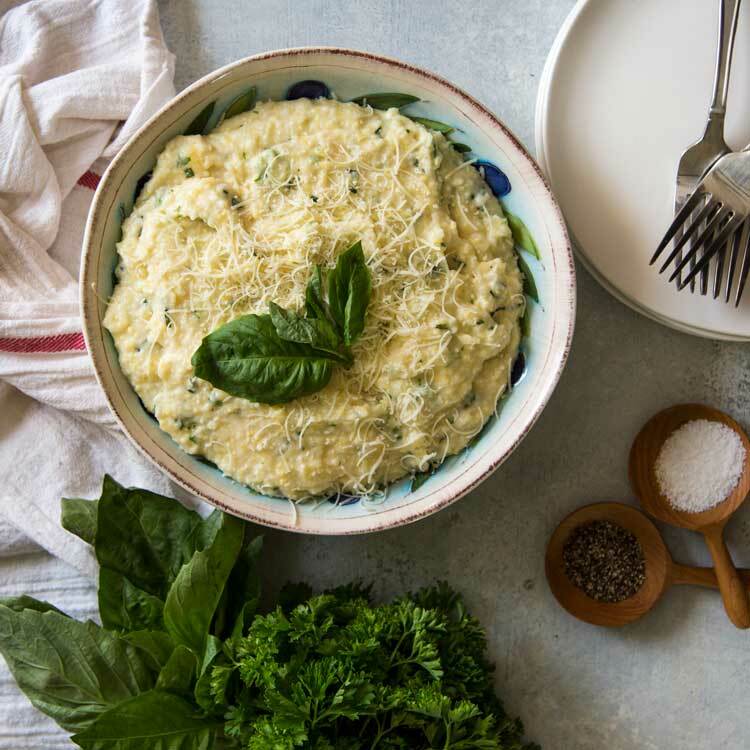 Polenta is a wonderfully creamy and smooth cornmeal that is slowly cooked and eaten both savory and sweet. 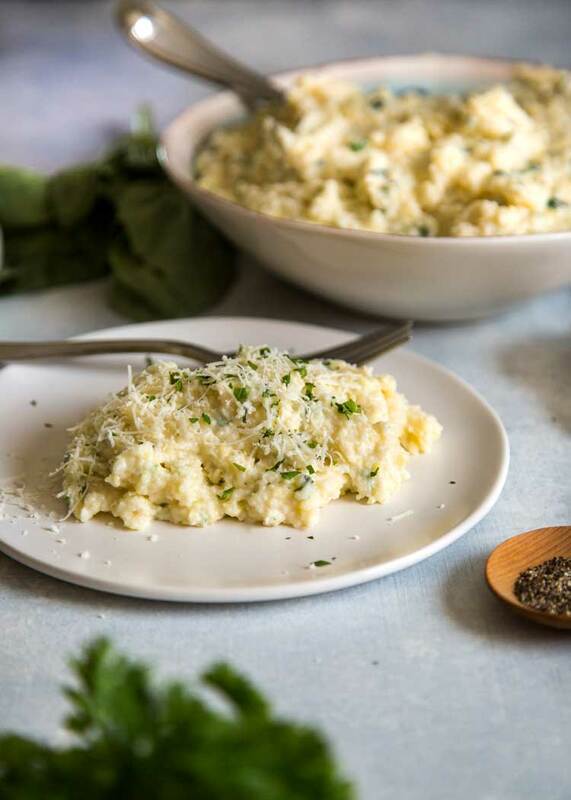 Best known in the Italian kitchen using cream and lots of cheese whisked in, it makes for a wonderful side dish, or as a base for other toppings or meat sauces. 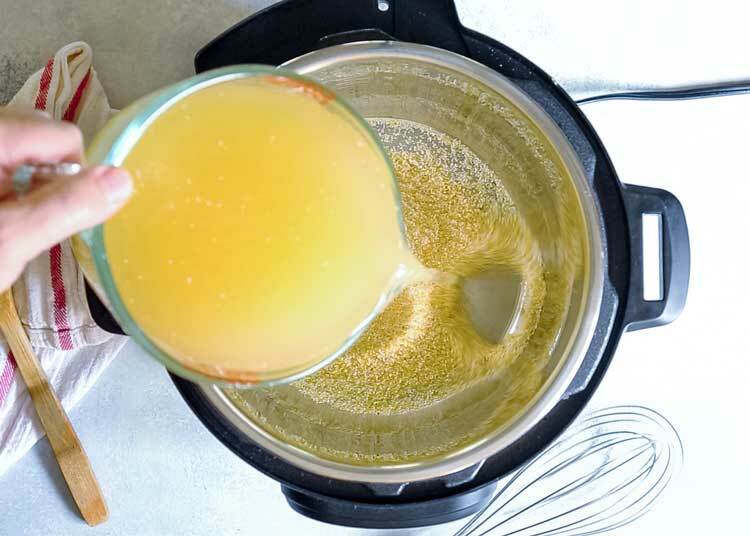 I love to make it and while I enjoy the traditional cheesy method, often times I make a batch and pour it in a buttered dish to refrigerate and the next morning pan fry and drizzle with maple syrup for a switch up on the usual Sunday breakfast. 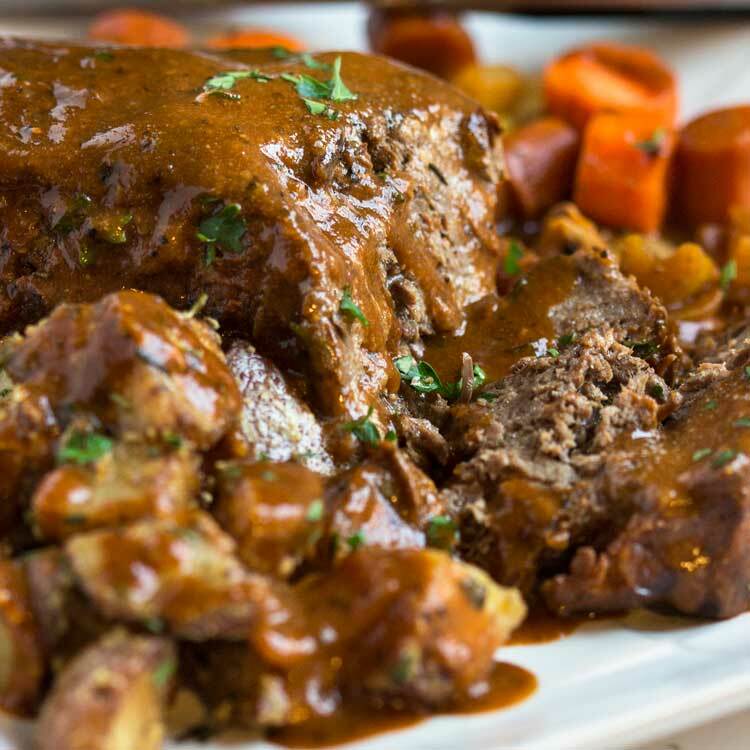 Today though we are staying savory and cutting the time and your elbow grease down by using the Instant Pot. Yes it can be done and I have the video to show you how easy it is, too. 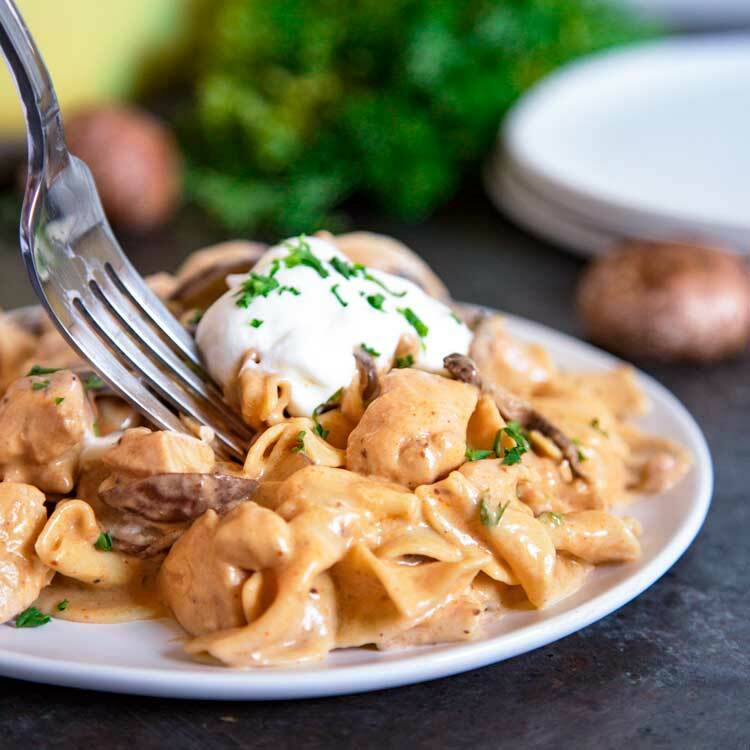 Creamy, smooth and cooked completely, butter, cream and cheese get whisked in for a perfect bowl to serve and enjoy. The trick in the past for me has always been the correct balance of water to cornmeal ratio. Well I’m here to say that it’s 4-to-1. Four parts liquid to one part cornmeal. Now this method using the Instant Pot takes that to the next level, and with no standing over the sputtering, hot pot. 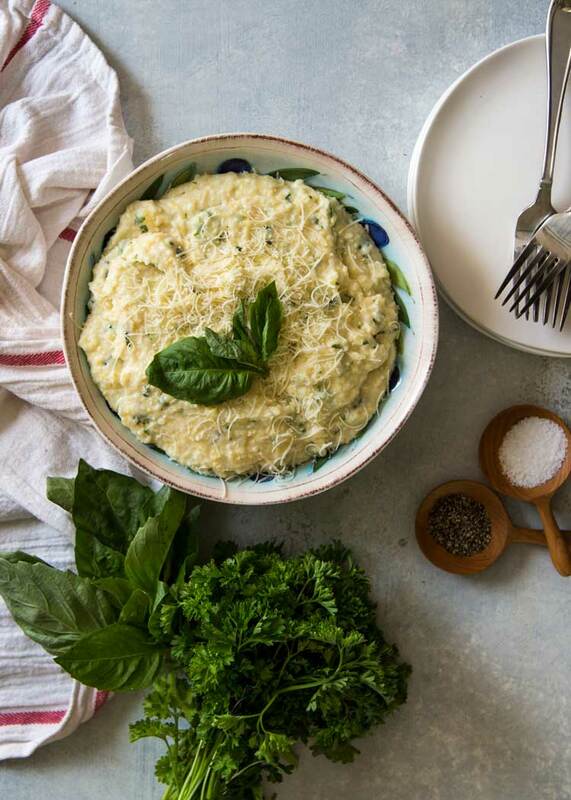 Whether you choose to eat it this way, all creamy and smooth, or bake it, grill it, fry it up in a pan with some maple syrup drizzled on top, polenta is a delicious dish that is now easier to make with the Instant Pot method. On top of that, it’s gluten-free for those of you who need to watch that. For today’s recipe I made it with added fresh herbs and it was the base for a tasty beef dish, but that post is coming later…. For now how about serving this with my Chopped Chicken Piccata or Salisbury Steak with Mushroom Gravy and swap out the spuds. Enjoy! What would you say if I told you that you could make cheesy, creamy polenta in the Instant Pot? With minimal effort on your part, it's amazingly easy to do. No standing over the pot stirring with this one! Add the polenta to the Instant Pot and pour the chicken stock over. Add the salt and whisk to break up and lumps. Cover and cook on Porridge setting - High Pressure, Normal with a total of 20 minutes. When done, allow a Natural Release (See Note 3) Release vent value and open lid. Whisk to stir and add the butter and cream. Whisk to incorporate. Add the cheeses and herbs, whisk again until smooth. Serve with fresh cracked black pepper. Feel free to use vegetable stock or water. Feel free to use milk if you choose. Natural Release: per manufacturers instruction, this is when the cooker is allowed to cool down naturally until the float valve drops down. This may take 10-15 minutes after cooking is finished. After using the "Porridge" setting do not put steam release in venting position otherwise porridge will splatter through steam release. Use Natural Release. 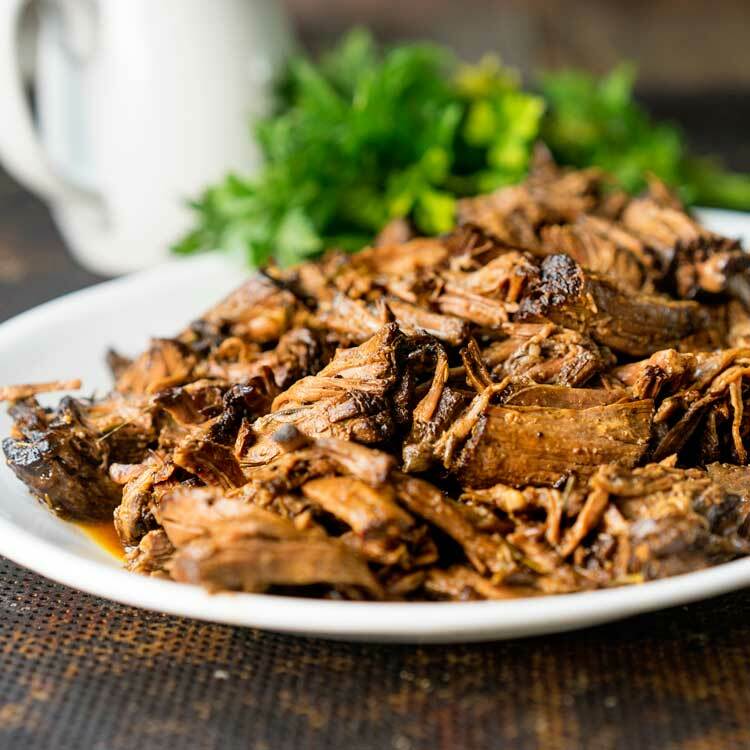 If you're converting meat from a slow cooker to an Instant Pot, follow this rule: if the meat dish cooks in eight hours on low or four hours on high in the slow cooker, it will cook in 25-30 minutes in the Instant Pot. Make sure the Instant Pot setting reads "sealing" and not "venting" to ensure it's cooked properly. Bummer! I have no idea why that happens to some. It has NEVER happened to me. Maybe inquire with IP? Kevin, I made this polenta today. Turned out awesome. I actually doubled the recipe, with a bit less than double the cream. I have to come clean, I have two Instant Pots, both six quart and use them almost everyday. I had a tremendously great meal at the Harris Ranch in Coalinga, CA yesterday. It was a lamb shank with an incredible sauce and that was served on a bed of cheesy polenta. I make lamb shanks in the instant Pot and they are great. The polenta will be a wonderful addition, thanks for the recipe! Excellent recipe exactly as written. Fresh rosemary and thyme would be great substitutes for the basil. My husband is Italian and I was very excited to see this recipe. Unfortunately when I tried it, I got the dreaded “burn” message. Any idea why? Not quite sure what you mean by the “I got the dreaded “burn” message.” Lorraine. Could you explain? I did indeed reply to your previous message Penny, although I am not familiar with the “dreaded burn message” you mentioned. I’ve never had that appear on my Instant Pot. 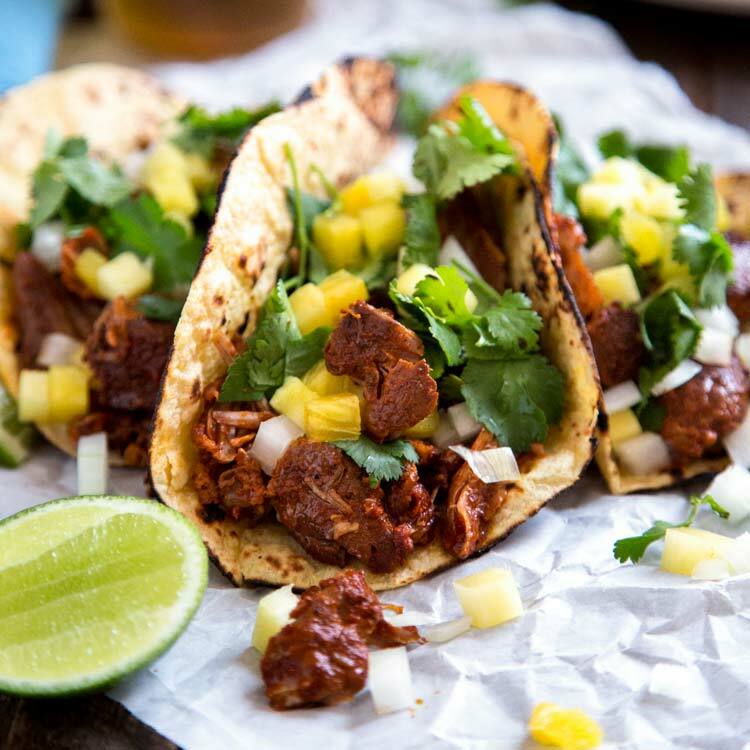 Are you using the same measurements/amounts as in the recipe? Did you cover and cook on the Porridge setting – High Pressure, Normal with a total of 20 minutes? I make this often and have never had n issue. Is your venting value clean and no obstruction possible causing a misread? I just am not sure and would be frustrated myself! Alicia you had me a little concerned I might have a typo in the instructions regarding portions so I made it again (thanks, now I have dinner partially done!) and it came out fine. Not quite sure what happened with your making it. You had the following settings for “Porridge”- High Pressure, Normal with a total of 20 minutes correct? With 1 cup polenta to 4 cups liquid (water or broth)? Please let me know! I think I know what the problem might be. I used coarse ground cornmeal and it turned out soupy. Kevin, what type and/or brand of cornmeal do you use? I wish we were neighbors so I could see what’s going on. 🙂 I thought I might have written cornmeal in the recipe and had to double check! A lot of people tend to use cornmeal in lieu of polenta, but there is a difference. 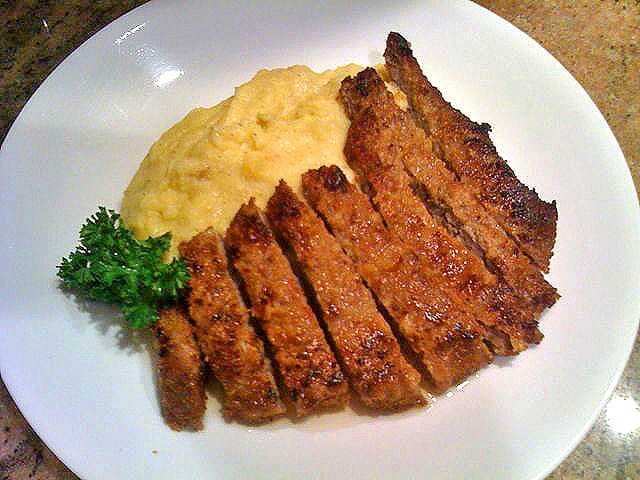 Here is a great article on Cornmeal, Grits and Polenta – Similarities and Differences in ground corn products. Personally I buy and use Golden Pheasant that I pick up at a local market. Keep me posted Melissa! I must admit I haven’t used polenta which needs up to an hour to cook for years. Instant one is an amazing thing! 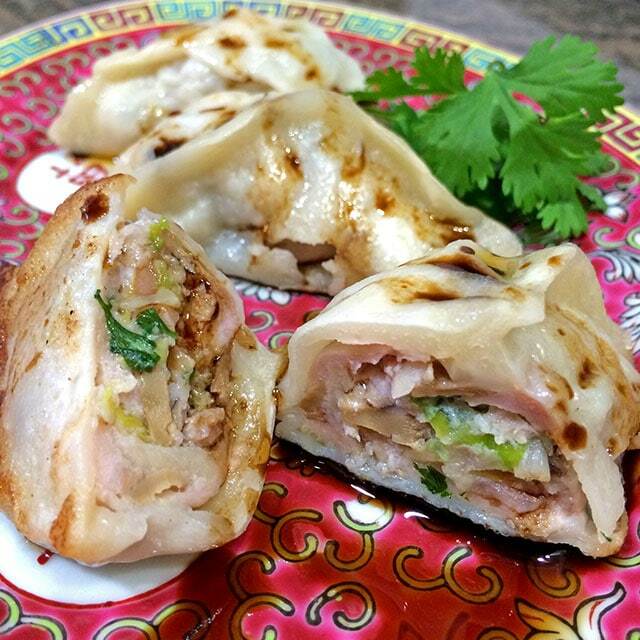 Combined with cheese and herbs, it makes a divine weekend meal. How many minutes did you cook it on the Porridge setting? On the presets you can select Less, Normal or More which all have different cook times. Also, with the “last used memory” not all pots will go to the factory default times so it’s helpful if you say specifically how many minutes you set it for. That polenta looks beautiful, Kevin. I’ve never made a good one. Mine always seem like, I don’t know, some kind of construction material. Although I have to say, I’ve also never had a good one. I rarely see in on a menu, and if I do, it rarely is paired with something I find appealing. Weird. Yours, on the other hand, looks like to want to dive right in with both spoons! I love the stuff, so comforting and the more cheese the better! I have also added the cooked polenta to my food processor and blitzed it until it was ultra smooth, too. Dig in! Hey Kevin. This looks and sounds delicious! I’m more of a savory polenta person, but for the very reason you stated I don’t make it very often. 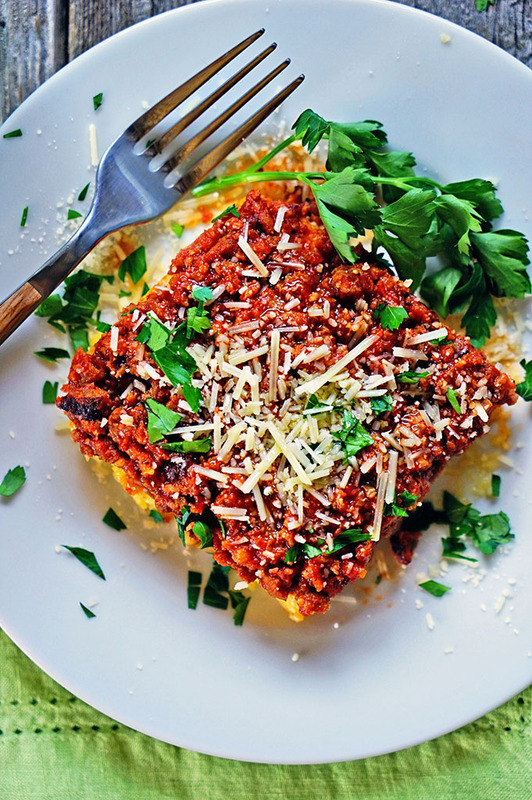 I love polenta topped with slow braised short ribs or beef burgundy (or spicy shrimp with bacon). I haven’t looked into an instant pot yet, but plan on doing so. I think I actually used my slow cooker more in hot weather. Which instant pot do your have? I could eat a bowl of it myself, but the short ribs is now a must have this week. Thanks! Link is broken Kevin. Hi Kevin!